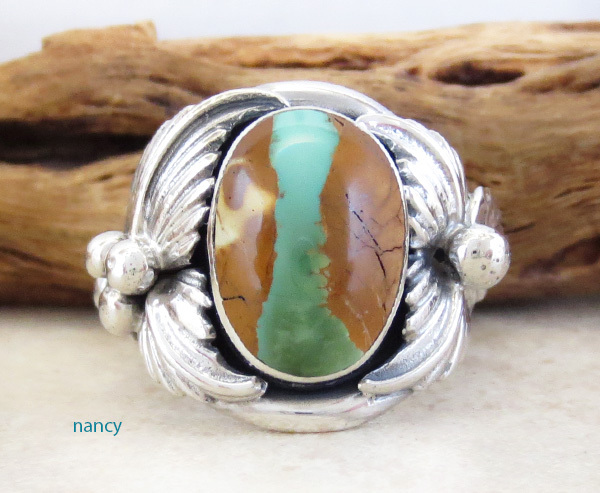 This classic band type ring, size 8 3/4, was made by Navajo Artist Bobby Piaso. 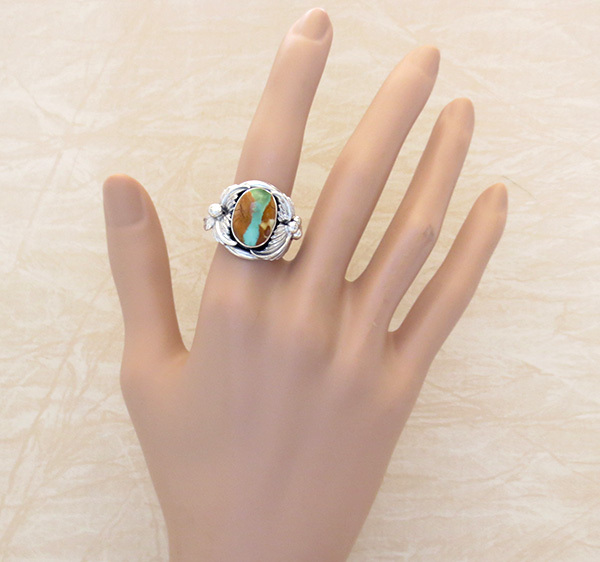 The Boulder turquoise stone has golden browns with a river of blue green turquoise. 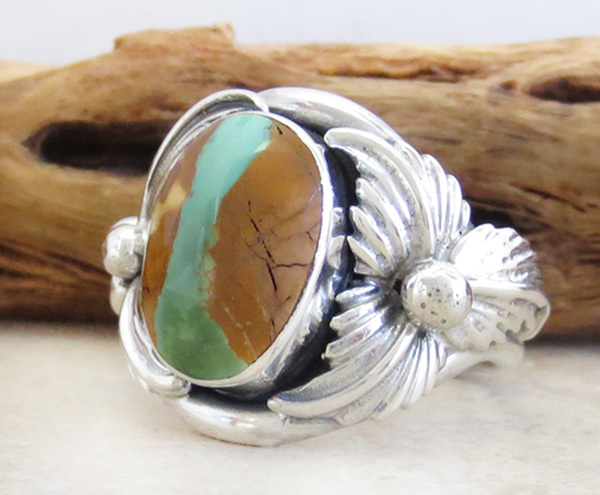 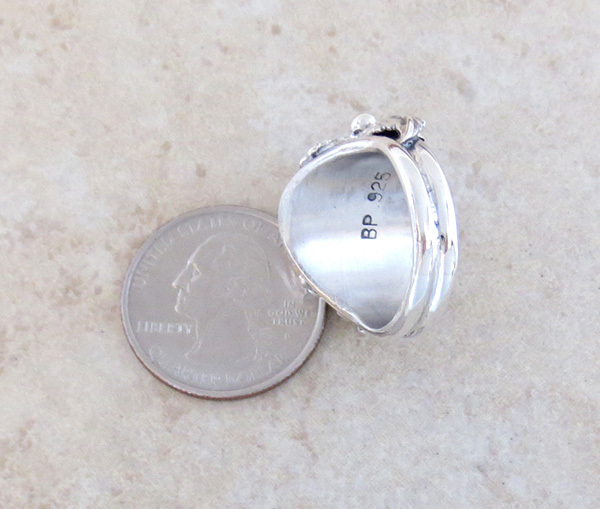 The stone sets in a smooth bezel with applied silver leaves and sterling silver beads. 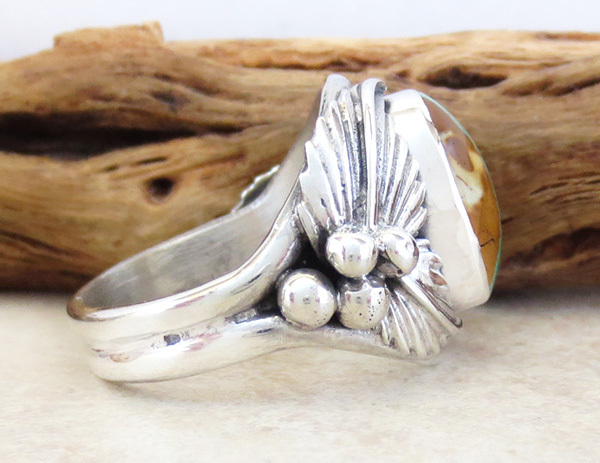 The stone is 9/16" tall by 3/8" wide.